Nobody wants a heartbreak. Though, in the bigger perspective, it brings life lessons and strengthens the fragile spirit. But even though it might be spiritually rewarding, a heartbreak has physical consequences. And you should get to know them! By knowing the physical consequences, you have enough room to understand yourself and the close people who are going through a heartbreak. This article, by any means, does not suggest to stop being courageous enough to love! However, by knowing the physical effects you can take necessary precautions and remedy them on time! 1. You are suffering from a physical pain. Some of the most common physical pains that a person suffers from after a heartbreak are headaches, stomachaches, or literal heartaches. You feel this physical pain because your body is forced to endure a severe heartbreak. And the mental and emotional stress you are feeling slowly manifest in your body through these physical pains. 2. Your stress level will increase. Stress is not good for the body. While a certain amount of it pushes you to look at what needs to improve in your body, too much of it causes complicated bodily dysfunctions. When experienced for a prolonged period of time, it may bring havoc to your life. It is best that you engage in leisure, rest or relaxation when a heartbreak strikes. 3. Your appetite becomes irregular. During a heartbreak, some people totally forget the loving care they used to shower themselves with and end up not eating anything at all. Thus, they lose weight. Other people also choose to forget their heartbreak by drowning themselves with food. Every time they remember how badly hurt they were, they fill their stomachs with food causing them to gain weight. 4. You may suffer from severe sadness. Sometimes it starts from a normal sadness that comes after a heartbreak. But when you are unable to move from it, it will become a depression that you have no control over. When you feel that you are psychologically unstable, show your self some loving care by going to the appropriate people who can help you with what you are going through. 5. You are less focused. Because your mind is still bogged down by the sudden surge of emotions brought about by your heartbreak, your mind suffers from a lack of focus. This results in making mistakes at work or in any chores you normally do with your best self. Thus, taking a break from your regular routine is a must after a heartbreak. 6. Your heart might slow down. It is normal that your heart is affected with every heartbreak. But when you notice your heart is functioning differently and more slowly than it normally does, consult your doctor. 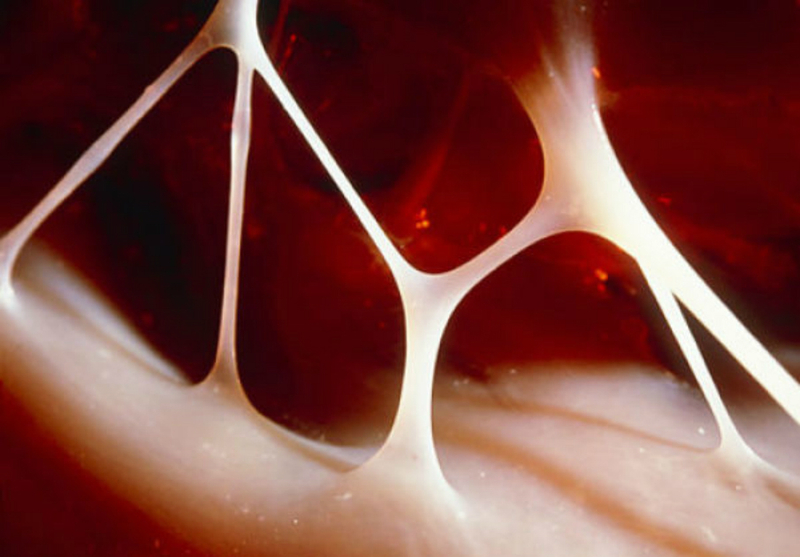 You may be affected by a broken heart syndrome that follows after experiencing a deep longing. 7. You might have difficulty sleeping. You suffer from a loss of sleep because, in your aloneness, you remember the person who caused you pain. No matter how much you toss and turn, sleep seems to evade you. And the more you force yourself to sleep, the more awake you feel. Try to listen to a soothing music. It might help you a bit. 8. You become more sensitive. Being in a painful situation makes you vulnerable. Even slight comments or remarks would hurt you more than it did before. If you can, try to stay away from negative people or situations. The added negative energy maybe too much for your stressed body to handle. 9. You feel the need to be alone. While hurting, you feel that deep need to be alone. It’s more comforting to feel your pain alone than sharing it with others. Besides, you don’t like people seeing you in your most vulnerable state. 10. You experience a withdrawal syndrome. Withdrawal symptoms are normal occurrence after a heartbreak. You’ve been accustomed to be with someone who suddenly disappears leaving you with a broken heart. The detachment comes to you with a surprise and a shock. Additionally, your regular routine also quickly changes the moment the person you shared it with is gone. 11. You might suffer from delayed or irregular menstrual period. Scientific studies proved that severe stress leads to delayed or irregular menstrual periods. Others even experience missed periods while under stress. Stress suppresses the functioning of the hypothalamus that controls the pituitary gland. The pituitary or master gland also controls the thyroid and adrenal glands and the ovaries. A heartbreak not only hurts a woman’s heart but a woman’s femininity as well. 12. Your immune system tends to get weak. Because stress weakens the body, the immune system also weakens. This makes you more susceptible to diseases and infections. If possible, never allow your heartbreak to bring you this far. 13. You might suffer from hair loss. Hair loss is one inevitable effect of stress. During a heartbreak, when you notice your hair falling, be aware of the intense stress your body is going through. 14. You might suffer from cramps. A prolonged stress causes a female body to suffer from menstrual cramps. This further intensifies the emotional turmoil you are going through after a heartbreak. If you could, there are specific exercises that you could perform to lessen the effect of menstrual cramps. Some drugs are also available to treat these cramps. 15. You go through periods of self-doubt. When in heartbreak, you start to doubt your worth and your self. You wonder if you are worthy enough to suffer the pain. This happens because the heartbreak shakes your confidence. It’s okay to feel this way as long as you don’t stay longer in that feeling of worthlessness. A heartbreak is not only characterized by a romantic partner who hurts you. It also comes through a family conflict, damaged friendships, or the breaking of trust you give to someone. Regardless of the situation, always bear in mind that it’s okay to feel all these signs in your body. Just make sure to know that you don’t have to stay there longer. What’s important are the lessons learned and the strength gained from the experience.